RCR is committed to the science of sustainability including integrated political, economic, environmental and social effectuation. We believe that a good business should be financially successful and a good corporate citizen. We believe that technologies that innovate alternatives, reduce waste and extend our natural resources should be made available to the global community. We can help recycle and reuse practically all waste materials into beneficial products for optimum resale into the market with greatly reduced environmental stress. RCR is an equal opportunities employer and commits to providing preference to displaced workers, including re-training. Flex-time employment and skills enhancement training allows single parents to re-enter the workforce and older workers to leverage valuable experience and remain competitive for high paying jobs. Young women and females generally find it more difficult to secure employment on grounds of gender prejudice, incontinuity through unplanned pregnancies etc. Strenuous efforts will be applied to prefer women into secure positions within the workforce and to bring about self worth, personal empowerment, hygiene and health, and parenting educational programs. The Company will guarantee career advancement and academic achievement through selection on merit of candidates within the work force to attend university or advanced college courses that will lead to academic recognition and commensurate increased remuneration packages. In partnership with selected first-tier Universities at known and accepted places of learning, the Company desires to implement a comprehensive higher education degree in Environmental Sciences, Economics and Management encompassing environmental science, sustainability, material reuse and resource conservation. The Company will provide an educational grant to worthy students assessed and selected from all sectors of the workforce for academic advancement and entry into their sponsored degree programs. Dependent upon means they will range from 100% financial support to partial support. Women have made great strides over the last century in areas where they were not historically equal to men; they gained the right to vote, they removed the barriers to traditionally male professions, and they changed the way society looked at them. Women are no longer viewed as primarily emotional creatures, but are judged on their individual qualities. But the gender problem is still burning all over the world. The fact that there is still women and men’s work, and still separate play for boys and girls, show how these are apparent even today. By breaking down these stereotypes and allowing men – or women – to be as feminine or masculine as they choose give them a chance to be individual. The Company is determined to provide support for women aspiring to social, political and professional success; for men willing to support active women’ striving for self-realization and for anyone interested in sustainable democratic development. Society creates artificial barriers in the way of women’s professional, political and social careers thus depriving itself of the great potential that this social group possesses. Gender equality is a prerequisite to the effective development of this country. The goal of the Project is to ensure the real access to the sphere of decision-making for New York women. 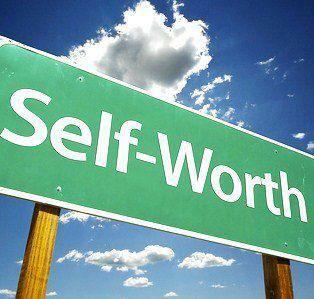 In order to feel motivated, reach out and participate in the decision-making women must first attain self-affirmation. Up-to-date education, relevant knowledge and skills are all ingredients of success that would allow women to become leaders. RCR provides an opportunity to get the education that fits women’s needs, status and employment. Providing equal opportunities means not only that women must be able to gain the education that would allow them to access such traditionally masculine spheres as big politics, serious business, higher levels of power. Equal opportunities are founded, first and foremost, on equal rights. The Project calls for expanding women’s impact on the legislative process to ensure the gender equality in the society. Women who aspire to participate in decision-making face an invisible obstacle in the form of the public opinion. The stereotypical view on the limited role of women in the public sphere unfortunately still exists in our society. It cultivates in women the predisposition to passiveness and dependence, and, at best, provides them with a sort of a greenhouse – a limited scope of possibilities of personal self-realization. Women who have strength, knowledge and ambition to participate in public life want to step outside the greenhouse and into a real world. Yet, too often they cannot declare their aspirations because of the social disapproval that would follow. RCR aims at working to facilitate the change of public opinion and create a friendlier social and working environment for women.